Numbers and counting is the biggest category and includes number recognition to 10, counting to 10, one-to-one correspondence and cardinality. One-to-one correspondence means each object only gets counted once. >>Find simple activities for one-to-one correspondence here. In other words, kids can recognize that the numeral 5 represents a specific set of 5 objects. Kids should also be able to compare quantities within 10, and use words such as greater than, less than and equal to. Kids should also be comfortable subitizing quantities up to 5. This means they recognize the quantity when they see a picture or set immediately, without counting each individual object. For example, when you play a board game and roll the die, you don’t have to count if you roll a 3 or a 5. You recognize what it represents as soon as you see it. That’s subitizing. >>Find an easy resource for subitizing practice here. For geometry, Pre-K kids should be able to recognize basic shapes. You can then talk about the number of sides and compare and contrast various shapes. In addition, kids should recognize basic patterns, such as red-blue-red-blue and older Pre-K kids should be able to extend basic patterns. In other words, when they observe the pattern such as heart, circle, heart, circle, they can then continue it knowing that a heart and circle would come next. For measurement, kids should be able to compare objects using measurement terms such as bigger, smaller, taller, shorter, heavier, etc. at a glance. They may also understand some early time concepts such as day, month, year and seasons. >>Find books for learning about time concepts here. Older Pre-K kids may also be able to use non-standard measurement to measure objects. This means measuring with an object such as a paperclip or their hand rather than a ruler. For instance, they might measure the length of their book as 6 paperclips long. So how can you effectively teach these skills to Pre-K kids? 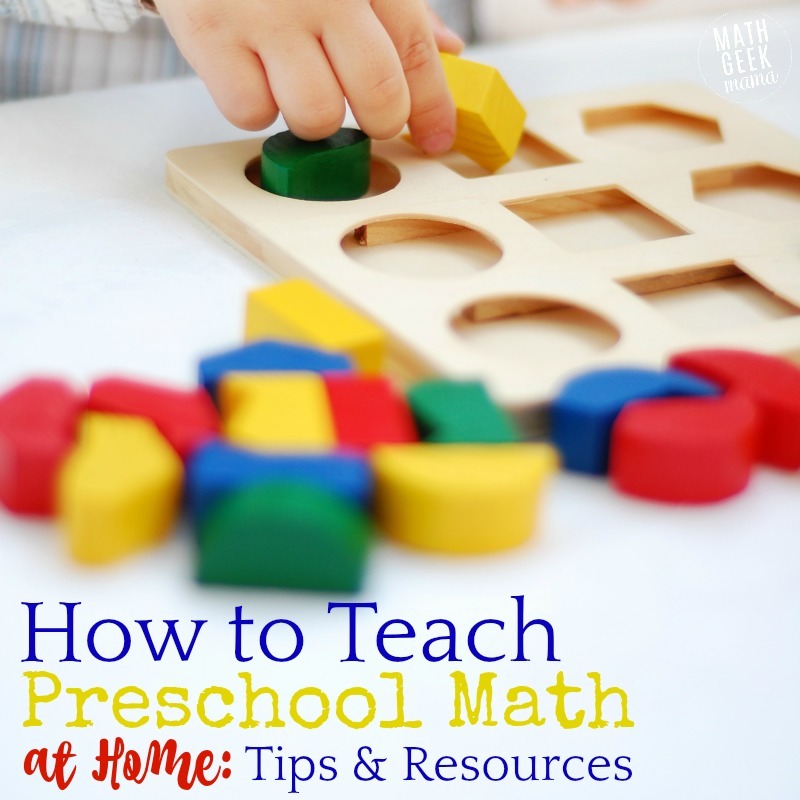 Here are some of my favorite resources for Pre-K Math Activities to ensure kids learn all the necessary skills. 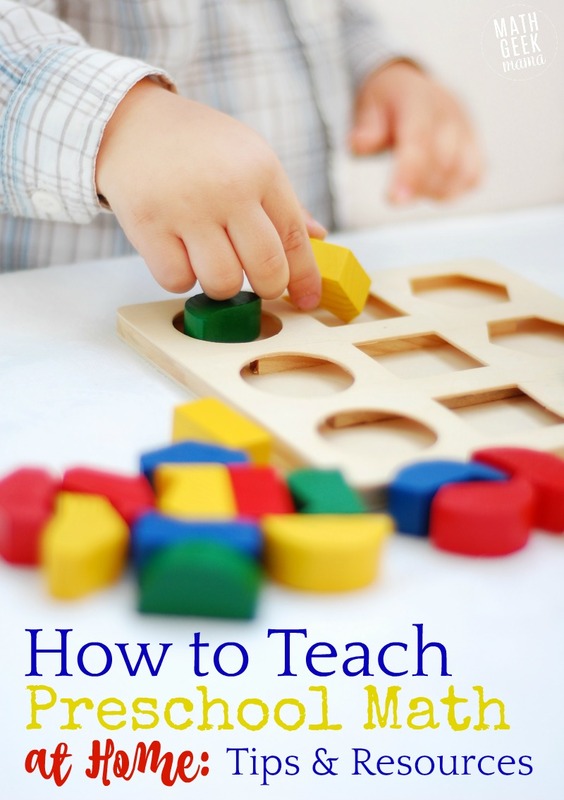 First, when looking for ideas or resources for Pre-K math, be sure to look for simple, hands on activities and games. There’s no need for pencil and paper worksheets. At this age, a lot of kids aren’t ready for pencil and paper activities anyway. Instead, look for ways to learn and explore using objects you already have around the house. Incorporate math talk into your everyday experiences. And always be sure that your kids are having fun and not feeling overly frustrated. 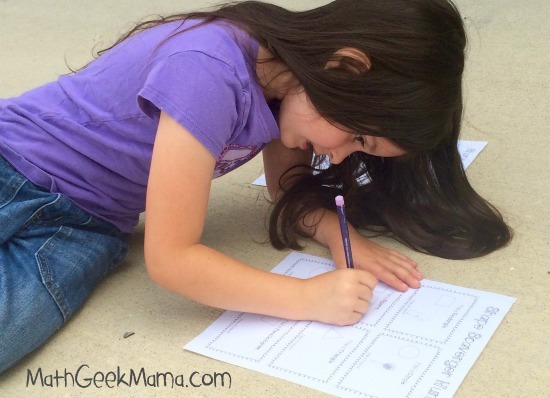 If a math activity is causing a meltdown or tears, just walk away! These early years are definitely not the time to cause math anxiety or a fear or hatred of math. One of my favorite ways to learn math is with candy. Obviously, you don’t want to break out the sweets everyday, but an occasional “math treat” is fun for everyone! 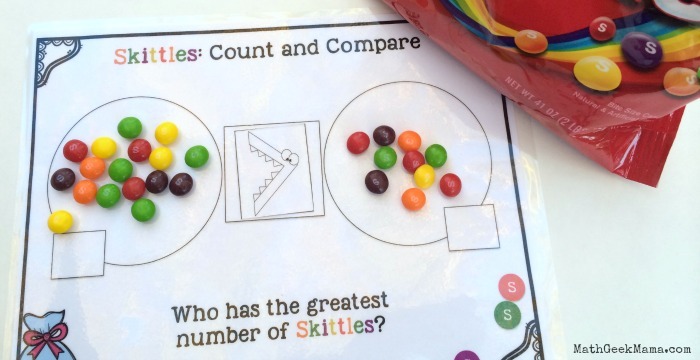 With my Skittle Math Lesson Bundle, you will be able to cover a variety of early math skills with some simple, interactive printable pages. Another incredibly valuable and thorough resource is the printable activity set from Anna at The Measured Mom. 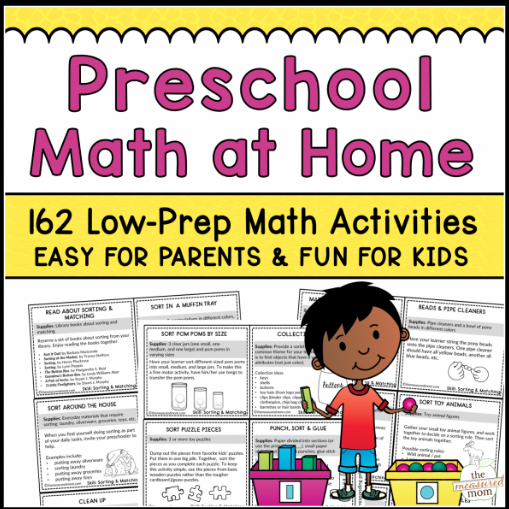 This is a comprehensive resource that includes 162 hands on activities that you can do to cover all the essential preschool math skills. Each activity is explained on a simple printable card so that you can keep them on a ring and easily store them. In addition, there is a tracking page, so you can see at a glance what activities you’ve already tried and what concepts you still need to work on. Although this is designed for parents to work on Pre-K math activities at home with their kids, I think this would also be valuable for a classroom teacher. 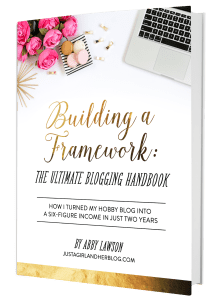 In addition, this comprehensive collection of activities covers even more skills that what I’ve mentioned here, so if your kids already feel confident with the basics, there are more concepts that you can work on. 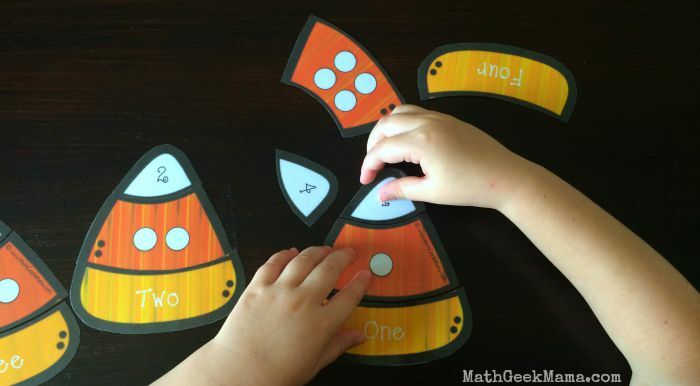 Another preschool curriculum option is the book Preschool Math at Home from Kate Snow. This is also a really helpful resource for parents, as Kate has done all the work for you. Again, these are hands on activities to build number sense and fluency to prepare kids for Kindergarten. Although it doesn’t cover quite as many math concepts, it provides a simple step by step guide, helping you to know what order to teach concepts. In addition, Kate includes simple assessment ideas at the end of each unit so you can feel confident moving on, or to let you know when to spend more time on a particular skill. 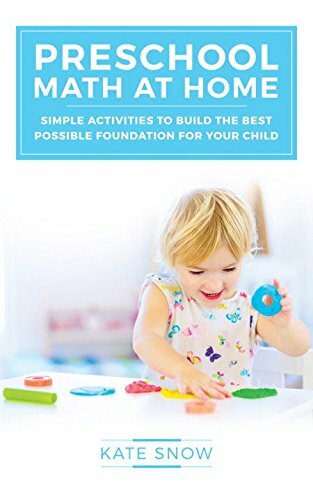 Preschool Math at Home is available as a print book on Amazon here. As I mentioned, subitizing is an important early math skill that prepares kids to addition & subtraction. 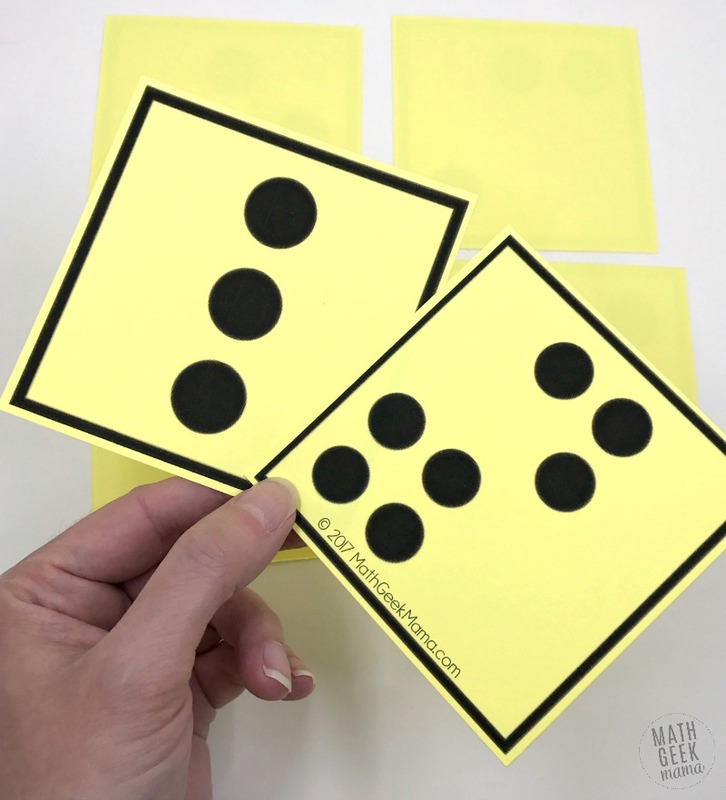 Using simple dot cards beginning in Preschool (and even in Kindergarten or First Grade) will help kids to recognize quantities and develop their visual spatial skills. This set of printable dot cards includes 10 different math games you can play with them. 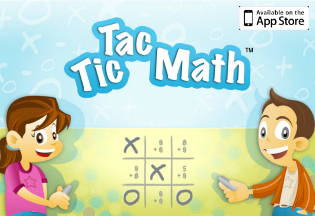 It is also available in app form, allowing kids to practice and gain confidence independently! Another fun activity for kids who are ready to explore subtraction is this Wrecking Ball Subtraction. This is a fun, hands on way to play and learn. 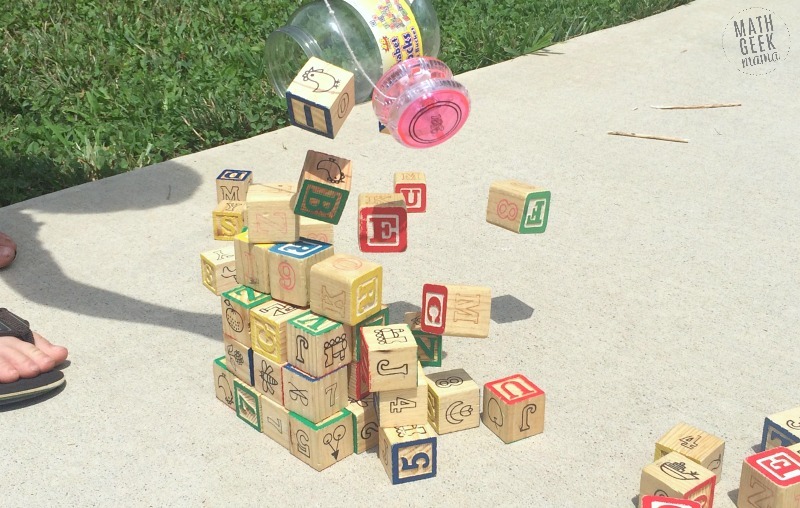 For young kids, limit the number of blocks you use to keep the subtraction simple. Older siblings can even play along as they build towers with larger sets of blocks. Learn more about wrecking ball subtraction here. This simple set of matching puzzles is a fun way to practice subitizing, counting, number recognition and number words. Learn more and grab the candy corn puzzles here. This simple activity is a great way to get up and moving, and also help kids see shapes in the world around us. Plus, I’ve got a simple, free printable page for kids to record their findings. Learn more about the shape scavenger hunt here. Another fun resource to help kids really learn their shapes is this set of shape formation rhymes. This set comes with cute posters and an audio file to help you and your kids learn 8 different shapes. 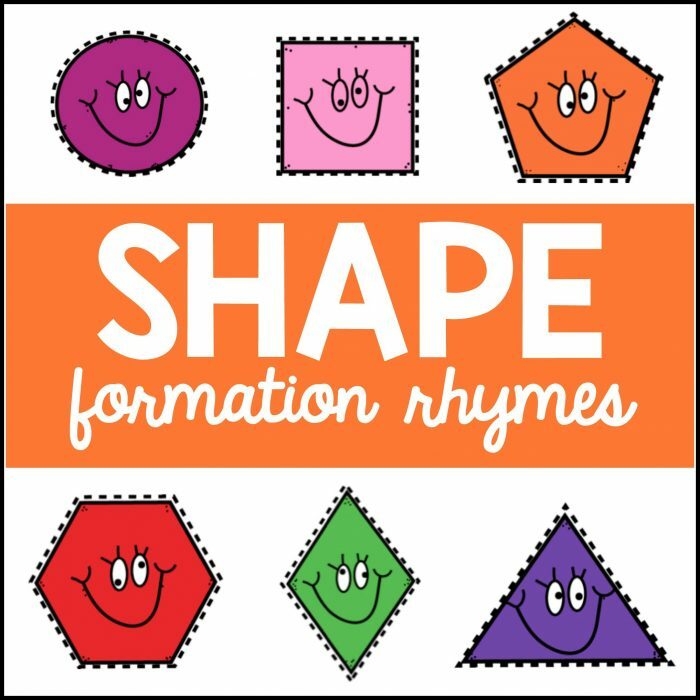 Learn more about Shape Formation Rhymes here. 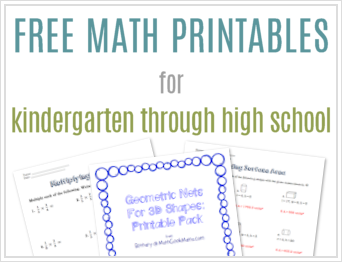 Hopefully this HUGE list of math concepts, games and resources has been a great starting point as you seek to teach your kids, whether at home or in the classroom. What are some of your favorite pre-k math activities or games? Simple is usually the best!